Our workshop is equipped with a Dyno Dynamics 450 Four Wheel Drive Chassis Rolling Road, we offer dyno power runs with our ECU remapping packages, if you're interested in finding out just how much power your car currently produces or you'd like to hire our dyno for a remapping session be sure to contact us. 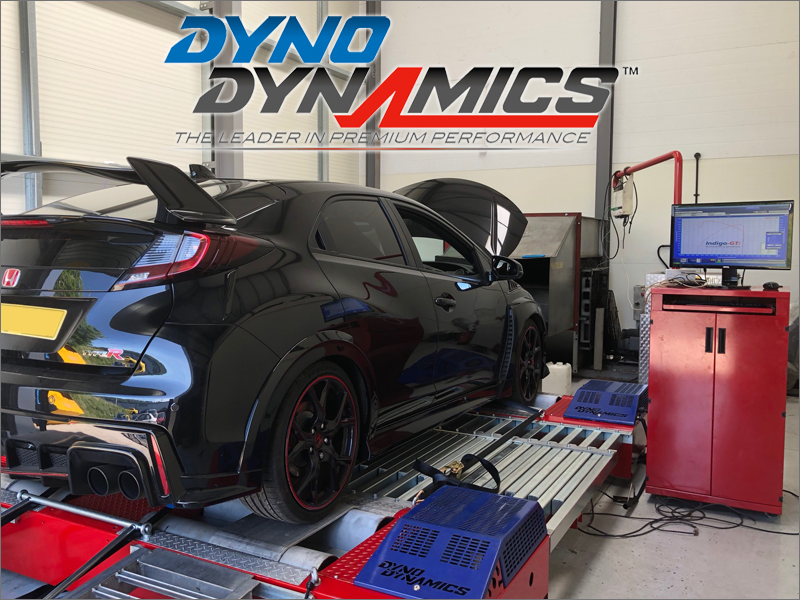 A Power Run Session consists of three back to back power runs with power and torque measured at the wheels or flywheel with AFR and (where applicable) boost monitoring, our dyno can measure up to 2400bhp. Our dyno is available for club/group bookings on Saturdays with discounted runs available based on the numbers cars that are booked to run, for more information regarding rolling road day bookings, please contact us.